Using the facial wash was an easy thing for me to continue doing so I only needed to incorporate the Night Cream into my routine. Having never used a night cream before I was unsure what to expect. I soon found that I had been missing out. My skin started to feel softer and that dry, tight skin I would experience was no longer felt. 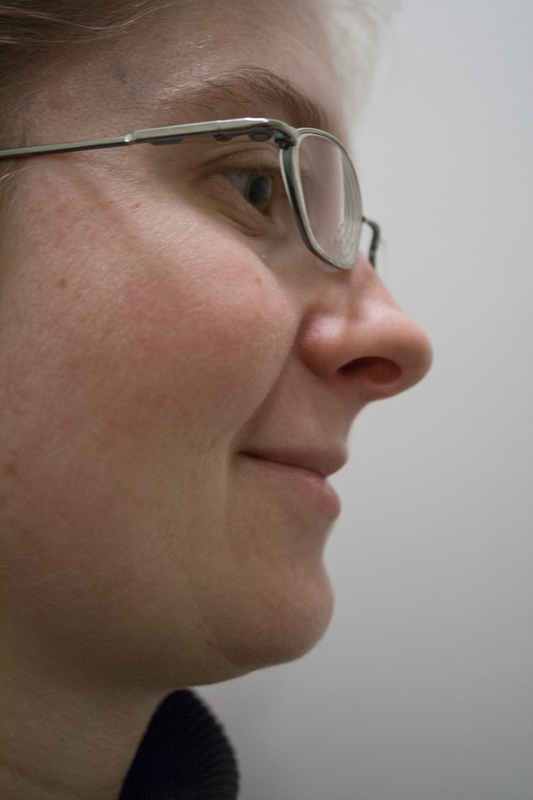 I also deal with some red patches on my cheeks and I noticed those lessening as well, as shown on the left. The greatest part of this product was that waking up in the morning I felt no greasy or heavy film feeling left behind on my skin as I have experienced with other moisturizers. With sensitive skin as well I am always worried about the scent of a product. Burt's Bees Intense Hydration products contain Clary Sage. Knowing nothing about Clary Sage prior to reviewing these products I was happy to find that it did not have an overpowering scent to it. Clary Sage, a remarkable botanical that thrives in its harsh environment because of its ability to retain moisture, is the inspiration behind Burt’s Bees Intense Hydration, our natural ode to soft, supple, revitalized skin and our best natural anti-aging solution. Our cream cleanser leaves your skin incredibly soft while our day lotion, eye cream and night cream help reduce the appearance of lines and wrinkles. Add the treatment mask for an immediate dose of hydration to give your skin a revitalized look. While I saw improvement in my face I really wanted to show how well this product can improve dry skin. 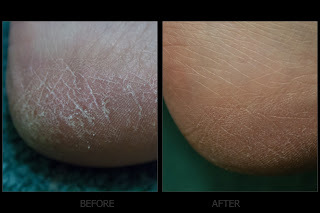 So below is a before and after picture of my heels, the most problematic dry skin that I have.After using the night cream on heels nightly you can see there was a significant difference after two weeks. So if you are looking for a great line of moisturizing products that is 99% natural I strongly suggest the Burt's Bees Intense Hydration Product Line. I recently started using Burt's Bees cream cleanser and day lotion. I really like it and the mild scent is such a nice change from other creams I've used. I'll have to try the night cream on my feet, I hadn't thought of that. Wow! That's quite an improvement. I love Burt's Bees for lips but I haven't tried it for feet. wow impressed with the results. I have lotion at my bedside to remind me to at least do my hands and lips b/f bed.